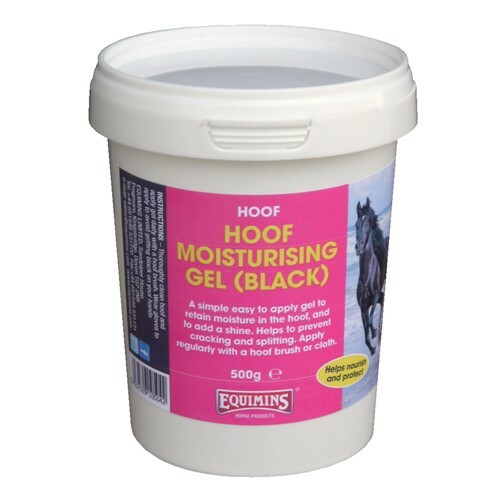 Equimins Black Hoof Moisturising Gel is an easy to apply gel which helps to retain moisture and add shine to the hoof. Helps to prevent cracking and splitting. Apply regularly with a hoof brush or cloth. Thoroughly clean hoof and apply gel daily with a hoof brush. Wear gloves to apply to avoid getting black on your hands. There are currently no questions for Equimins Black Hoof Moisturising Gel for Horses - be the first to ask one!